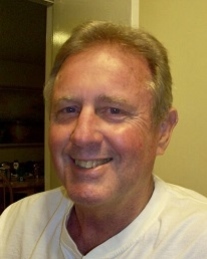 David James Swindell, Jr. 71, of Lakeland, passed away peacefully on February 12, 2019. He was born November 26, 1947 to parents David and Celeste Swindell. Born and raised in Lakeland, David spent 36 years working for the city, having started with them when he was just 19 years old, until the time of his retirement from the Electric and Water department at age 55. Beyond retirement from the city, David continued his dedicated work as landlord of the family’s rental properties. David was a member of First United Methodist Church in Lakeland. He graduated from Lakeland Senior High School & Polk State College, where he excelled in intramural sports including football, basketball, and baseball. David also attended the University of South Florida and later played sports in various city leagues. He enjoyed following the LHS Dreadnaught football team and was also an avid fan of collegiate sports, especially the Florida Gators. David was also a skilled handyman and enjoyed the outdoors, including boating, fishing, barbequing, and camping with family. The love of David’s life was his devoted wife Linda, to whom he was married for 48 years. She is left to treasure his memory with their children David III, John, and Kimberly (Matt); grandchildren Hunter & Nolan Swindell, Dawson Creasman; sister-in-law Del Sellers; and many nieces, nephews, and cousins.